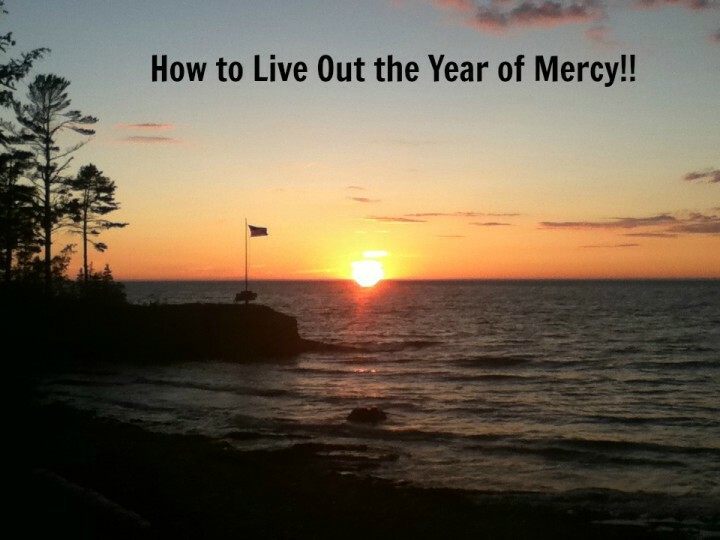 Merciful like the Father”- The Papal motto for this extraordinary Year of Mercy! 3. Visit A Door of Mercy– Pope Francis is encouraging us to head on a pilgrimage to a designated Holy Door of Mercy. If you can’t make it to Rome, find a local cathedral, shrine or church that is offering a similar grace. Every particular church, therefore, will be directly involved in living out this Holy Year as an extraordinary moment of grace and spiritual renewal. Thus, the Jubilee will be celebrated both in Rome and in the particular churches as a visible sign of the Church’s universal communion. Let us not miss out on the amazing graces being offered to us during this up and coming year of Mercy! As moms, mark your iPhones and calendars for December 8, 2015!